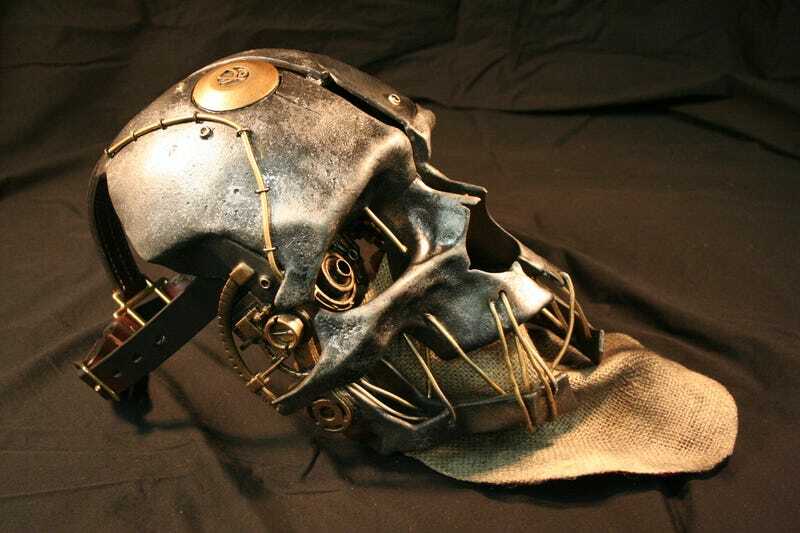 Corvo's mask from Dishonored is a pretty iconic wardrobe choice, but being so complex, it's out of reach for most fans (or even pro cosplayers). Effects studio Technically Magic, based in West Falls, New York, wants to change that. Having made an incredible replica of the mask back in 2012, which we featured here on Kotaku, they've since perfected a way to print, mold and cast the parts to allow fan to build their own 1:1 version of the mask. If you're wondering how authentic is it, Dishonored's developers Arkane will be putting one of the masks on display at their studio. Which is really the mask coming full circle, since TM's version is using the geometry from Arkane's own high-res model used for promo shots and advertising for Dishonored. The parts are being sold as a kit for $350. Note that some finishing and painting is required (the image up top is TM's own finished version, the kit for sale is the unpainted shot above), so this isn't for someone who just wants to buy it, open the box and run around a town throwing rats at people.